I hope, first of all, that you’ve had excellent weekends. It’s finally sunny in NYC; who knows if it’ll last, but I’m grateful while it’s here. “I’ve been doing some research, and found that a lot of people feel that blending is superior to juicing. They point out that juicing removes the healthy fiber from the produce, which helps regulate blood sugar as the sugar from the fruits and veggies hits your system. They admit that for people with more severe digestive issues might benefit from this, but for everyone with normal digestion, blending might actually be superior . . . The short answer here is that I don’t think that this is a contest, or a debate. Blending and juicing are both beneficial in different ways. The purpose of juicing is to extract as much nutrition from vegetables as possible without activating digestion; that is, you’re enjoying a flood of nutrition without fiber. Isn’t fiber good for us, you’re thinking? Yes it is, and if you’re eating a plant-based diet, you’re getting plenty of it! Juicing enthusiasts don’t argue that fiber is harmful; they simply think that there are times when it’s desirable to get a rich flood of nutrition without the fiber. For example, people with very sensitive digestive systems often find it a relief to be able to snack on what is the equivalent of several cups of vegetables without having to stress about whether or not the high fiber content will be irritating. The second way in which juicing and blending differ is volume. Unless you’ve got a tremendous appetite, you can’t eat all the produce that goes into a single serving of veggie juice several times a day! An average juice (for me) includes an apple, five large kale leaves, 1/2 a bunch of parsley, a large cucumber, eight large stalks of celery, and a knob of ginger. Or it might involve eight carrots, a beet, 1/2 a bunch of kale, an apple, a head of romaine, and eight stalks of celery. Get the idea? I could never devour that many veggies all at once, but I can juice them. Blending them would still allow me to consume a lot of vegetables more easily, but it wouldn’t be quite as efficient as juicing. As you can see from my last post, I love blended salads, and consume them often. And now that summer’s here, you can bet I’m looking forward to plenty of fruit smoothies and coconut shakes, too! But they’re a different entity entirely from juice; I enjoy them both, and look to them for different reasons. As for the blood sugar spike, that’s a reasonable concern. Juice that’s all apple or all carrot will give you a sugar rush or make you lightheaded: this is why it’s important to mix beets, carrots, and apples with a less sweet vegetables and greens. But properly made, juice should be high enough in celery, cucumber, greens, lemon, and other veggies to outweigh the sugar in apples or carrots (sugars that are, by the way, are perfectly suitable in reasonable amounts). And of course, I do not recommend juicing as meal replacement, which is where the real danger of blood sugar elevation lies. If you have diabetes or a blood sugar imbalance you’ll want to speak with your doctor before you begin juicing frequently. Bottom line? To compare blending and juicing is a bit like trying to evaluate the relative merits of yoga and marathon running. They’re comparable in that they’re both a form of exercise, but that’s pretty much where the comparison ends; juicing and blending are both a form of nutritional intake, but they’re as different as can be. On that note, have a terrific Sunday evening! See you back here soon. Composting in NYC is easy. Just go to almost any Farmers Market. Union Square has composting M,W, F and Sat until 5:00 p.m. Wonderful information! I don’t have a juicer, so I’m sticking to blended by default, but I appreciate your perspective and knowledge! I think they should keep for a few hours, Kristin — but not much longer! If you use non-stinky veggies (no onion!) you should be ok.
Just wanted to let you know that you don’t have to miss out on the amazing benefits of fresh juice, just because you don’t own a juicer. You can still make your green smoothie each morning and then run it through a nut-milk bag to remove all the fiber. The difference being, you’d need to drink it prior to work (as opposed to sipping out of your thermos at the office), because it will oxidize rather rapidly. That juice in the picture looks sooooo good. VERY interesting. I’ve always wondered the “true” difference between juicing and blending (in terms of nutritional benefits and such), so now I understand it all better 🙂 You never fail to inform, dear Gena! Thank you as always. I found this lesson so incredibly informative (and a little more palatable than some previous tutorials that in my opinion occasionaly contradict the science.) I was wondering what your position is on fasting for a day or longer. Do you engage inand endorse true fasts or do you recommend juice fasts only? Perhaps this topic could be discussed at length in a separate post (pros, cons, etc.) Terrific work, Gena! This topic demands a HUGE post, and I will deliver at some point when I’m really up for it! It all depends on who you are and what you’re eating. I do not recommend that people eating totally mainstream SAD diets suddenly embark on fasts that are longer than a day — or that anyone fast longer than three days without getting colonics regularly. I recommend juice fasting, rather than water. Ahh, I totally get it! This makes a lot of sense, thanks for clarifying things. I know I have said this to you before, but you have an amazing talent for writing things in a way that makes sense to those (like me!) that are new to a lot of this. I have been juicing lately, and really enjoying it, but have wondered myself about the fiber issue. Thanks Gena! Wow, I was actually just about to ask you about this! I find that I get SO full from Green Smoothies. Its all the fiber and I can never finish without feeling bloated. Maybe juicing would be right for me. I like the idea of drinking greens but I hate that puffy feeling. Thanks for this bit of info, Jane. Makes perfect sense! Good advice. I wondered why I was so gasy and I had to chew a little fo the fiber. I don’t have a juicer so I will still do the smoothies but maybe add more liquids. Thank you for the great information! 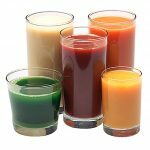 I have been wondering about that – I always blend because I don’t have a juicer but I might have to try a juice fast one of these days! I’m with Shelby. I get too full, puffy and bloated on a green smoothies/monsters. Green juice just goes down easier for me, especially in the morning. Thanks for clearing that up! I have been drinking more smoothies lately (gotta love summer!) … I’m still pretty heavy on the fruits, but am slowly adding more and more greens into it. thanks for another great post, gena! glad you were out enjoying the sun in the city today! i really enjoy juicing and am considering buying a juicer very soon. for now, i stick with blending (since i already have everything i need!) and i treat myself to a juice once or twice a week at a place near my office. i’d love to have more juices in my diet though! Thanks for the post Gena. I read Green for Life last summer and went crazy on the green smoothies. I’m enjoying them again now that it’s warm, and your explanation on how smoothies differ from juice makes total sense. Your posts are always so informative. Thanks again! Thanks for the comment on my blog! I would appreciate any referrals! Helping people is my passion in life. My consulting business is just another avenue toward accomplishing that passion. 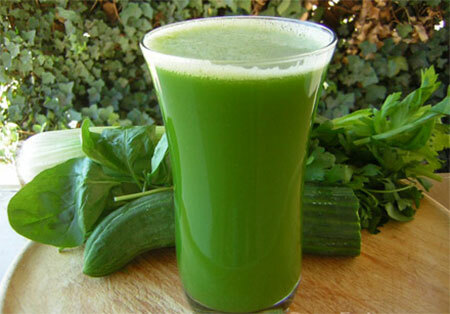 I do love me some smoothies–especially with spinach leaves–but there’s nothing like raw juices and juice fasting. It’s so wonderful and refreshing to allow my digestion to rest and experience the serenity of a fast. Love it! Very timely. I just bought a vitamix last night. Interesting and I guess I’ll have to invest in a juicer at some point too. For now it will have to be blended drinks. Thanks for the info. My juicer is going on a trip today. Getting all packed up in it’s box and covered with brown paper to make the long journey back to New York. That is how attached to it I am – I ship it to wherever I am working! I never got into smoothies because the fruit/greens combo always left me a little bloated. But I did make the zucchini soup the last few days. Yum! Great post! As a type 1 (juvenile) diabetic I can vouch for both smoothies and juices being great for blood sugar control (although I always make my juice with a lot of green in it, not just fruit, as you mentioned). I have been doing green smoothies in the morning for over a year, and they are great for my blood sugar control. it is like a balanced meal in a glass, versus the starch and carb-heavy breakfasts most people eat, which always spike blood sugar and send me on a roller coaster of high sugar, correct with insulin, then go low… I also need about half the insulin i used to. Thank you for this comment! No one ever talks about type 1 diabetes, they only talk about type 2! But it’s true — juicing and blending both, when it is mostly veggies with only some fruit added for palatability, will greatly reduce your insulin usage and also will stop you from having to “chase highs.” That’s what I call it when you eat heavier foods and you’re forced to give yourself insulin, test in a half hour, give yourself more insulin, test in another half hour, give yourself more insulin AND SO FORTH, unitl finally your blood sugar goes low (and then I would usually have to drink some sugar). Eating a plant-based diet and replacing at least some meals with juice or blends will definitely help you keep tighter control on type 1 diabetes, as well as type 2. Another amazing post! I love the way you explain everything that leaves me with no questions at all. Now that I’ve started juicing myself (got the same one you have!) I can’t even believe how many vegetables it takes to get just 16 ounces of juice. It really is incredible. It is my pleasure to be your muse any time, Gena, haha! Thanks for devoting a whole post to this question! Of course it totally makes sense, now. I kind of feel like it’s the commercial factor that leads many people to equate juicing with smoothie-ing – just the fact that you can generally get either or at any given retail outlet. As my understanding of the reasons behind raw foodism deepens, the more I find makes intuitive sense, since most everything comes back to how it will be digested and therefore impact (or not…) the body. On that note, I may or may not be currently engaged in a bidding war over a juicer on eBay. 😉 Have a great week! So informative! I leave your blog bursting with new information. I want you to know that you influence my decisions a great deal. Thank you for investing so much time to help us all live healthier lives! I just got back from my vacation to Chicago and, although I had the best of intentions, I ended up not always eating the healthiest foods. When I’m home in Tucson, I easily eat 10-15 servings of fruit and veg a day. Fast forward to Chicago where I was eating what was served to me and getting maybe three servings of veg a day. Needless to say, I felt awful. Seriously. For the last four days I was there I was dizzy and constantly in danger of falling asleep in the middle of the day. So I got home and all I could think about was getting as many healthy fruits and veg into my system as possible. I don’t have a juicer so I did it the old fashioned way: I whipped up all my fruit and veg in the blender, then poured/pushed the concoction through a fine strainer. Result? With two days of tasty green juices, I was back to my old self! I juice. I blend. But, a quart of fresh green juice every morning remains the foundation of my diet. Nothing like those living enzymes! Mmmm. Another great post, Gena. I used to be an all smoothie and no juice fan, until I really understood true benefits of both. 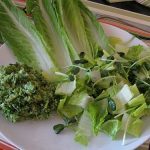 Now I now and practice what you have talked about in this post: there is place for both in my diet! You must be telepathic! I’ve been thinking about this exact topic lately. I appreciate the information. And now I have even more reason to get a juicer! Great post, Gena! I love how you compared juicing and smoothies vs. yoga and marathon running. Two totally great but different things. You always have the best way of wording things so that they make sense in my head ;). Hi Gena! Great Post! Do you think vitamixing and then straining the mix through a cheesecloth comparable to juicing? It’s not as ideal as juicing, but it’s not a bad backup option! this was a great post! and i’m still astonished you drink that many veggies!! So cool! Ha — it’s something, no?? Wow! Thanks so much for this post!! Really interesting question, and your answer makes a lot of sense! I’m afriad I’ve been making my juices too sour though! I need to add more apple or carrots! I’m so happy it helped, dear GC!! Glad you addressed this. I used to juice daily with my breakfast (either a fresh veggie or orange or apple-carrot-ginger juice in addition to my solid foods), but I started reading all this stuff about not getting fiber with juicing and so I slacked off…my juicer hasn’t seen work in a few months now. I miss juicing, and this post is inspiration to start back at it. I think I definitely need to add more greens — and less fruit — to my juices as well. This was very timely, I just got back from purchasing a juice with a friend! I just wanted to comment on how much I appreciate the thought you put into your posts/explanations. I don’t comment often but I feel like I learn so much every time I visit. Aw, thanks so much, Emily! I have a juicer but it’s a pretty cheap one (though so is my blender). I recently started drinking protein shakes (w/ brown rice or hemp powder) and am going to start making green smoothies now. I’m still iffy on the juicing though, it’s so good but so much work to do it everyday (lots of cleaning)! Plus I’m a student, and I’m usually just grabbing something on the go. But there’s a juice bar that’s right by the Whole Foods I go to so I stop there pretty often. So glad that your interest in juicing is growing, Justine! Good morning. I’m so glad I ran across your blog! Great information, great photos, great attitude. We’re on the same page with this! Your green juice looks wonderful! Thanks Melissa! Welcome to my blog! I recommend the Breville Juice Fountain Plus! Just found your blog. Haven’t bought a juicer yet, but I thought that a masticating juicer is better than the Breville one which is centrifugal and doesn’t handle the greens as well. But you feel it handles all your greens just fine? Excellent post! I’m thoroughly enjoying everything you write. Thanks for taking the time to share so much knowledge. This is such a fantastic post! I’ve never even known what the issues with pulp were and why they needed to be strained out, but it makes so much sense. Perhaps this has answered my question about whether or not to get a juicer! I haven’t been a big fan of the blended green monsters, but maybe juicing will taste better. Thank you! Personally, I only use a juicer for vegs. I don’t blend (broccoli, zucchini, etc.) But both are great! I really appreciate you answering this question. They simply just are not the same, is the bottom line and both have their place in your routine diet. Great way of explaining this topic. Dr. Max Gerson, the famous cancer healer used about 12-13 glasses of raw juice in his therapy. He thought blended would be better, but found from experience that he didn’t get the same result. As Gina so ably explained, the juicer extracts the nutrients for you. Juices are very condensed, wheras the blended stuff, because of the fiber, is not as concentrated, and requires energy to digest and also, as she mentions, keeps the appestat going. When juice fasting, the idea is to get the appestat to turn off after 3-4 days, which you can’t do with smoothies. I hope it’s not too late to ask a question about smoothies and juices. I have found that most recipes have banana and or strawberry as an ingredient. I am allergic to both and am unable to use them. I was wondering if there is an alternative best used in place of those to replace the specific nutrients lost by simply leaving them out? Alas, Pamela, they’re two of my favorites, so I tend to use them in everything and don’t have many alternate ideas! Mango can be creamy like banana, and blueberries or other berries can always replace strawberries. Read the post and almost all responses but I still have question: why do you not want to activate the bodies digestion? I was wondering the exact same thing…. Answer, anybody? For someone who has experienced that dizzy/lightheadedness you talked about, would you recommend drinking juice with some kind of protein like nuts or avocadoes or seeds? or continue to drink it on it’s own? Ok, so I am really late to this post…sorry 🙁 Just now catching on to the juicing buzz. I really am interested in the juice fast but reading this article it seems that longer then 3 days is frowned upon?? Maybe? I could have missed something but want to make sure where I start (besides getting a juicer (: ), and what I should watch out for. I do not have any medical issues except a small rise in sugar now and then. I have just recently started doing smoothies in the blender but they have a high fruit content, which by reading this post I am seeing this is not the best (Thank you for that info btw). Can anyone give me some ideas on where to start (if I should ease into a fast, receipes, things to add to diet i.e vitamins, etc.)? Wondering if a fast as documented in Fat, Sick, and Nearly dead is really achieveable. Sorry…email address was not submitted properly in last post. Corrected here. 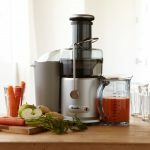 Can you recommend a heavy duty blender and juices that is also easy to clean ? pls also email the answer to me, if you can. The juicer we bought was supposed to be decent but broke down after a couple of months’ use and not as easy to clean. My son’s callouses/plantar warts mostly disappeared after almost a month of juicing greens –he adds apple or beets, ginger, sometimes onions. peppers, garlic, turmeric etc., Those warts were horrible looking and they grow —he had been treated by Podiatrists with medication, scraping and even burning them to no avail for years. We would like to invest in something that we could use for years. Thank you. Correction to my previous comment: I think he said freezing the warts instead of burning. I agree that it is not a contest. Juicing is obviously better, there is no competition! lol j/k. It’s true that blending and juicing both have their benefits, I just really don’t like blending veggies because they taste terrible with all that pulp! 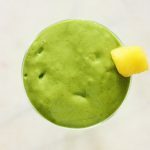 I’ve been doing a lot of juicing lately, but have been reading about the benefits of blenderizing your veggies and taken them that way….. which got me thinking, everybody talks about making fruit smoothies, why not make veggie smoothies? I’ve got to check out your blended salad post! you make blogging glance easy. The full look of your web site is excellent, let alone the content material! Ok I wouldn’t comment on this in a million years since this is obviously a blender site. I will point out that the total amount of fiber we need daily is very small. Like less than a table spoon. If you juice honestly and skip the fruits there is no sugar issue. Diabetics can safely juice with carrots if they like a sweet drink. I love juices, but I feel blends are more healthier because of the fibers and other nutrients. It is still very much difficult for me to decide which one to choose!! I guess it is better to decide by what we’re craving for! This is really interesting! I was just wondering what the benefits of one vs the other were and found your article. As for sugar spikes – my husband and I went on a carrot juice binge for 3 months once – carrots mixed with apples, lemons, grapefruit, oranges – all sorts of fruits – and we’d eat mountains of salads, nuts and occasional dried fruits like figs and dates. Between us, we went through between 40kgs-60kgs of carrots per week week. Not sure about ‘sugar spikes’ though. We certainly didn’t seem to experience anything like that. If anything, my husband, who used to need a nap religiously every day, stopped needing naps during this period though. We never felt more alive and healthy. His teeth, which were grey from too many antibiotics and regular fluoride supplements as a child, became sparkling white on our carrot juice diet. Our skin didn’t turn orange but rather, developed a smooth, healthy ‘glow’ – in fact, most people thought we spent a lot of time sun tanning. Although we’d never heard of veggie smoothies at the time, or I’m sure we would have incorporated them into our routine had we known about them, but I don’t think they were a ‘thing’ back then (early 90’s) and we were living proof that ‘sugar spikes’ weren’t a problem. Perhaps it depends on the individual.